Descending through the canyon, jumping over little waterfalls into the crystal clean pools, sliding on natural chutes and conquering more powerful waterfalls with a rope. An amusing, dynamic and unique way to discover the work of nature, normally hidden from passers-by. 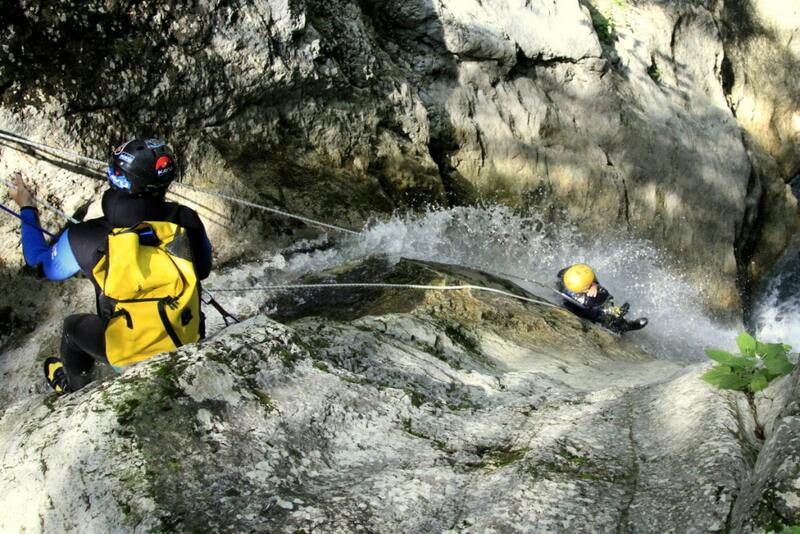 This adventure takes place in canyon Sušec, located 7 km outside Bovec town, in direction to Kobarid. We access the top of the canyon by walking on the old Italian mule track (25 min). Departures: every day at 13:00 p.m., 16:30 p.m.